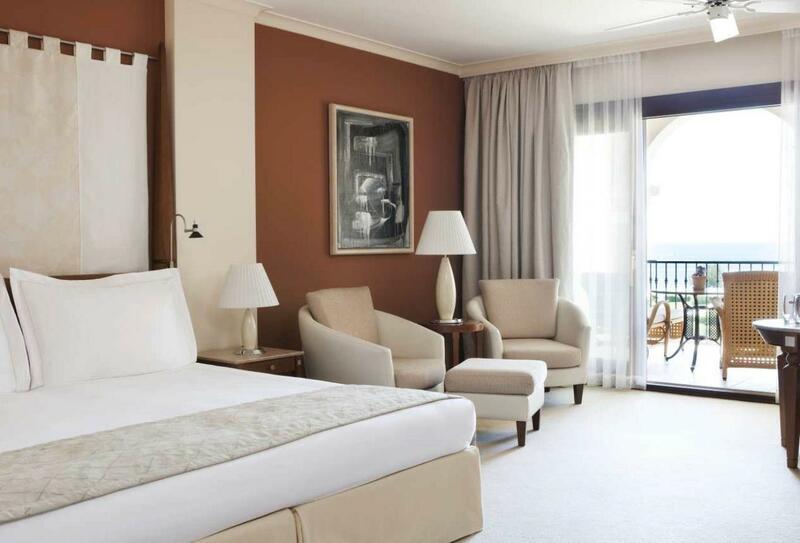 Nestled between the Tramuntana Mountains and the iridescent waters of the Mediterranean Sea, the St Regis Mardavall is a diverse resort that caters to families and weddings as much as it does to a relaxing holiday. 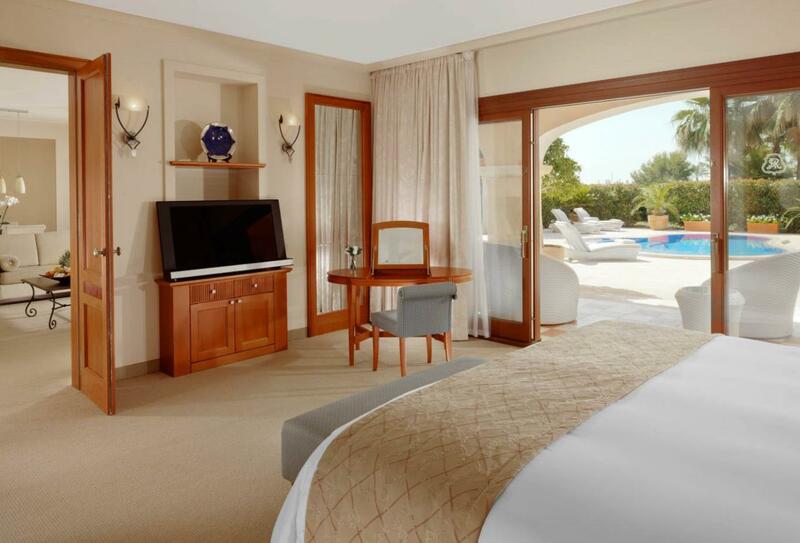 Its gardens and outdoor swimming pools form a neat first impression, one of luxury and pampering in equal measure. 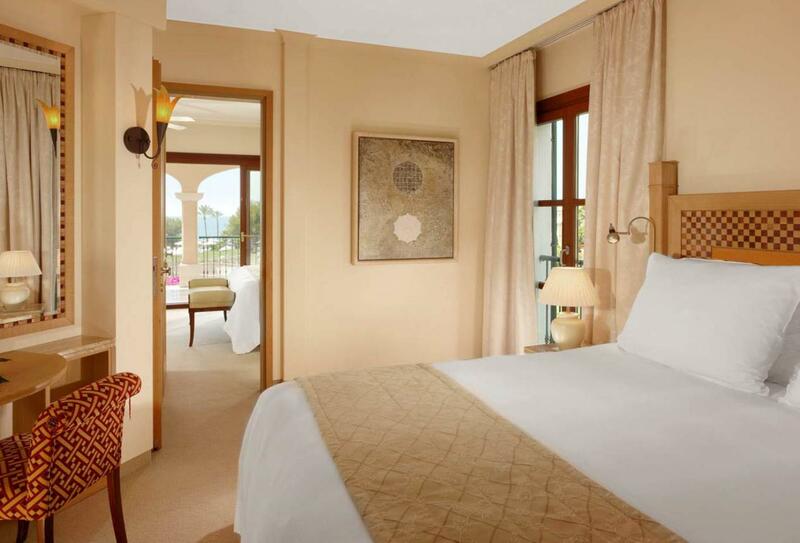 Guests may choose from a variety of rooms and suites, designed for families, couples, honeymooners and friends. Each one is stylishly decorated with luxury amenities. Dining is a treat of discovery with four dining venues and a host of cuisine to try. Activities are equally impressive, culminating in the excellent nearby Arabella golf facilities with a number of courses designed to cater to all types of players. Wedding ceremonies are held in the lush gardens of the resort and aided by a dedicated team, the spa is a sanctuary of relaxation and heavenly treatments. 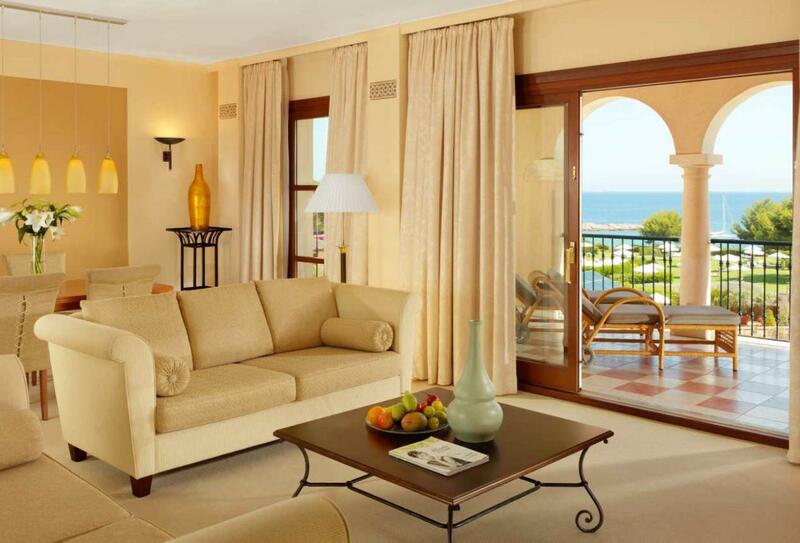 Offering spectacular views of the Mediterranean Sea, these Junior Suites offer the utmost in luxury coastal living. 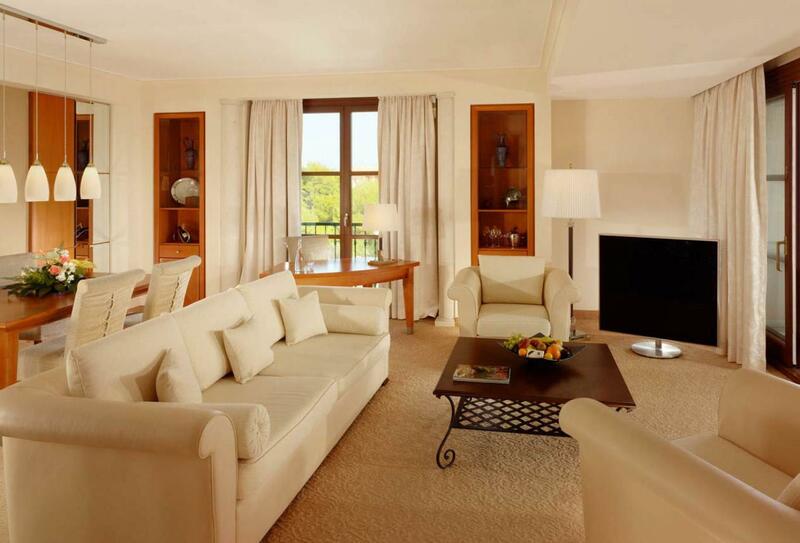 Each suite offers its own private terrace, or balcony and every guest room features a signature St. Regis Butler who provide a myriad of bespoke services. 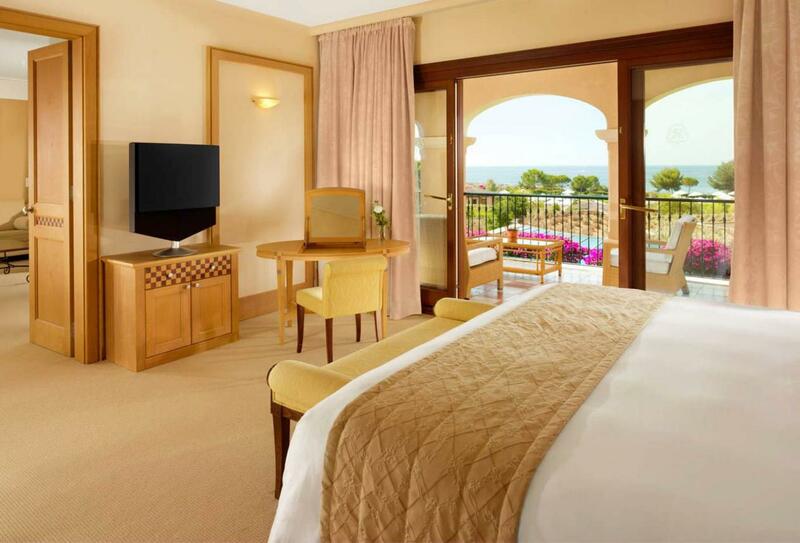 A spacious double room with views of the Mediterranean Sea. The bathroom has unique natural stone and wood design features and exclusive products from Remède. 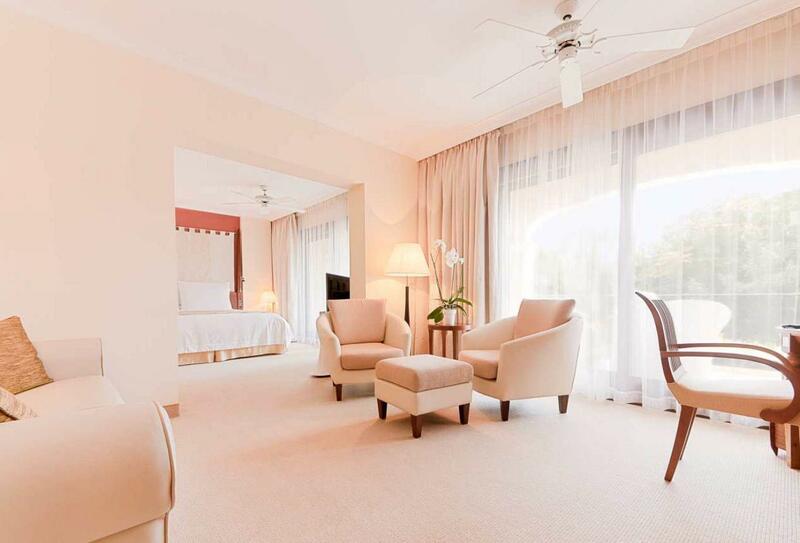 A tastefully arranged room with subtle pastel tones, providing a fitting amount of space to relax and unwind in, with views of the resort’s vibrant gardens. A tastefully arranged room with subtle pastel tones, providing a fitting amount of space to relax and unwind in, with views of the Mediterranean. Designed with families in mind, these extra spacious sweets provide the space and comfort you’ve been looking for in your ideal family holiday. 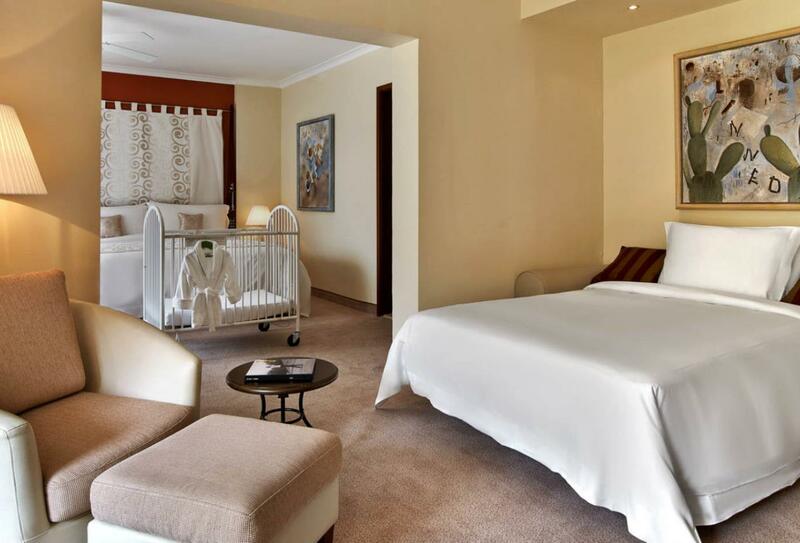 Located in the main building, these Junior Suites are spacious and offer a balcony or terrace. 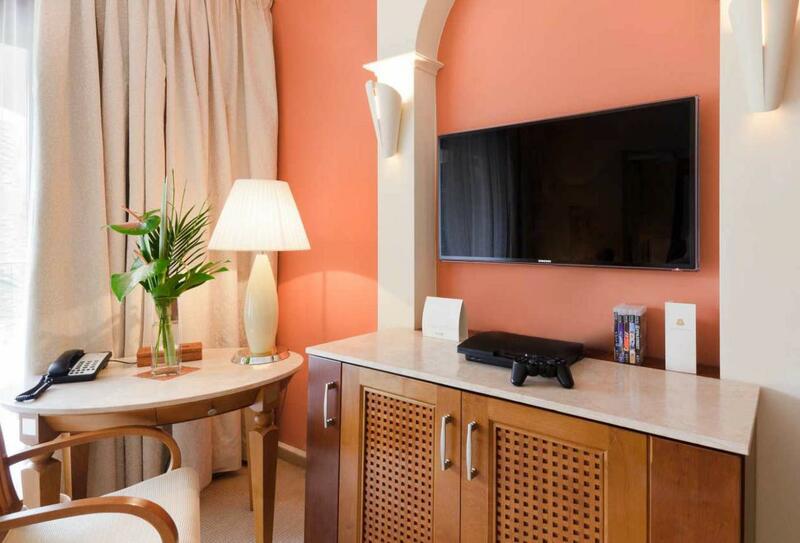 Featuring a generous separate living area and terrace, these impressive suites are adorned by contemporary local artwork and create a calming atmosphere with warm pastel tones. 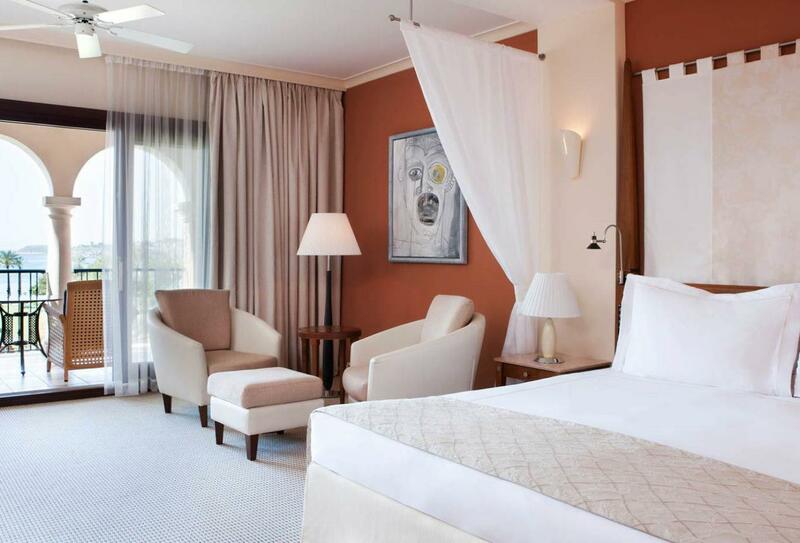 With a tasteful combination of handmade furniture, adorned by contemporary local artwork, these spacious two bedroom suites offer a separate living room and a relaxing ambiance. 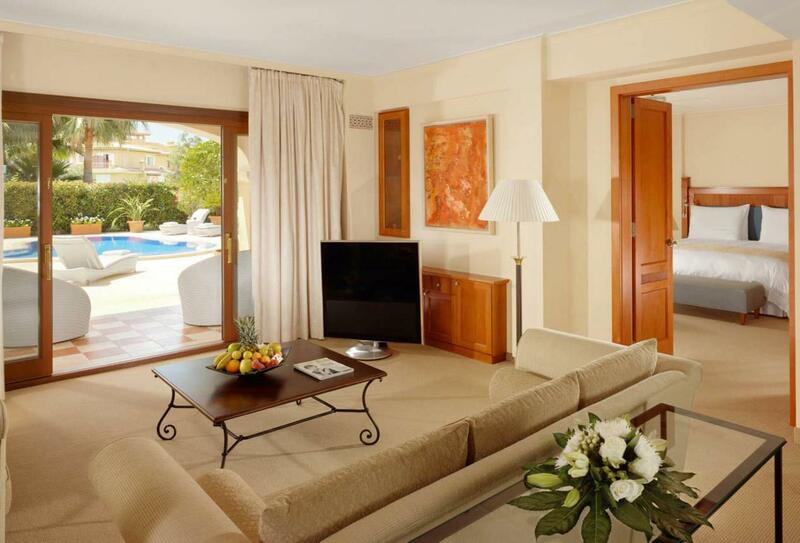 These extra special suites exude a timeless elegance with a symphony of subtle tones complementing its contemporary Majorcan design. Its large living space with an integrated kitchenette and dining area provide blissful independence and open up the options of what you can do with your stay. 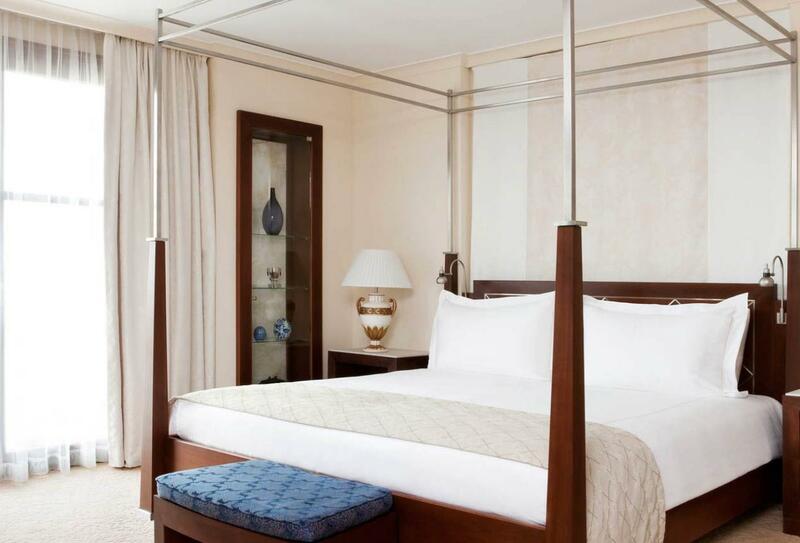 The epitome of luxury, St. Regis have pulled out all the stops in creating a perfect habitat for the perfect holiday. Featuring a large separate living area, dining area and kitchenette with a bar, as well as a private sauna and steam room, you’ll be hard pressed to find a more exceptional suite than this. Finding the ideal resort for that perfect wedding you had in mind can be tough. 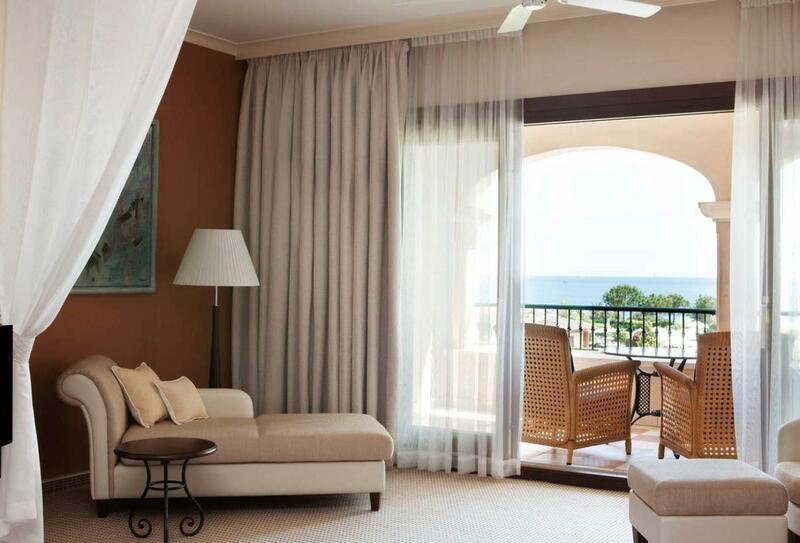 Not every resort ticks all of the boxes, but with its fragrant, lush gardens and the backdrop of a pastel coloured sea in its peripherals, The St Regis Mardavall is an idyllic option. The hotel features a dedicated wedding planner team who will help to guide you towards the style of the ceremony and banquet which can be held in the resort gardens. Guests will be treated to Spanish cava, appetisers and delicious signature cocktails on the terrace of Es Vent. • Complimentary shuttle bus transfer to Arabella golf courses 08:30 – 16:30. 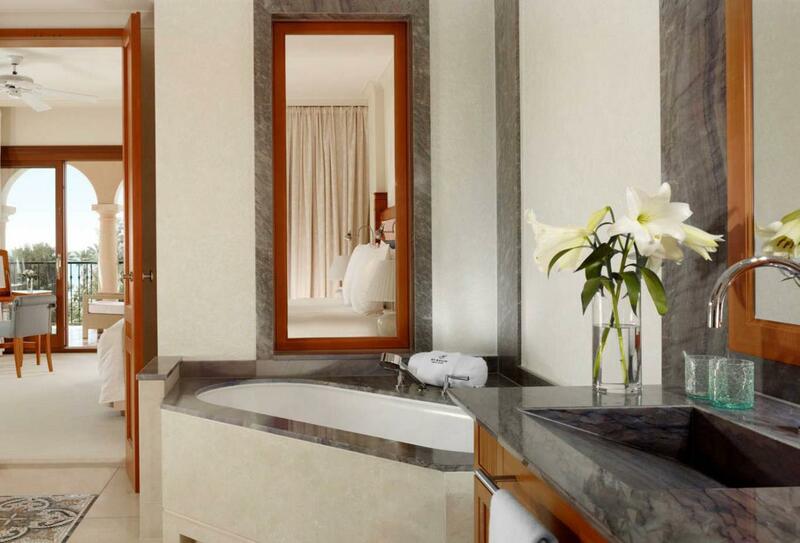 Discover the magic of Arabella Spa and its extensive packages of luxury therapies. Staff here at the spa are trained to the highest quality in practice and application, with extensive knowledge of the multiple signature treatments, massages and specific therapies such as water balancing and reflexology. The spa is equipped with a Jacuzzi, octagonal Egyptian brine bath, saunas, an ice cave and a jet shower, as well as 11 treatment rooms. Guests are also invited to try the oldest form of healing, traditional Chinese medicine. 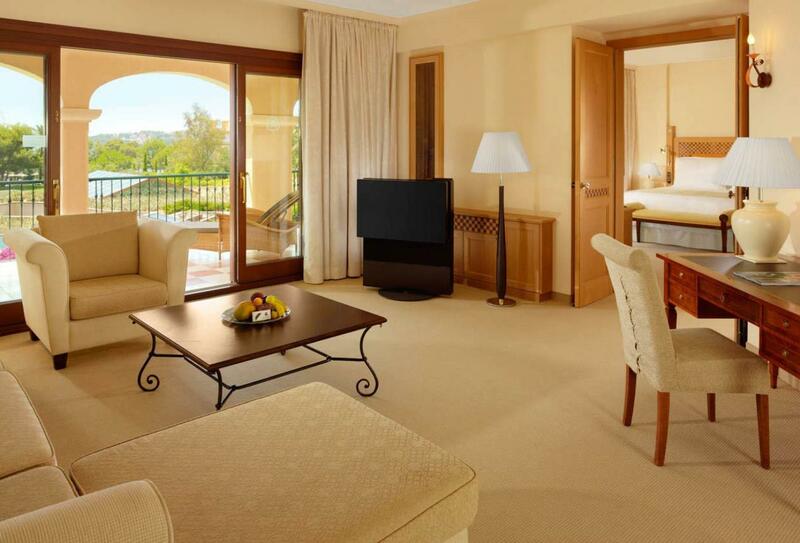 Guests of St Regis Mardavall Mallorca Resort have access to the largest golf resort in Spain at the Arabella golf courses. 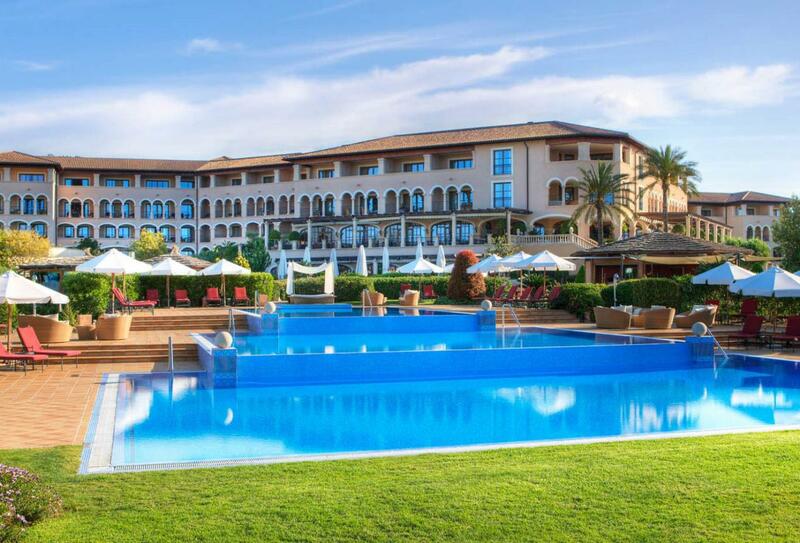 There are four courses in total and the resort staff can organise reservations, times and golf matches. A complimentary shuttle service is available for getting around to the courses. The oldest golf course, Arabella Golf Son Vida was the venue for the European Tour and offers brilliant vies over the bay of Palma. A professional 18 hole golf course, the views of the sea and cliffs are sensational and may inspire you to victory. This is a short but diverse golf range with nine par 3 holes. 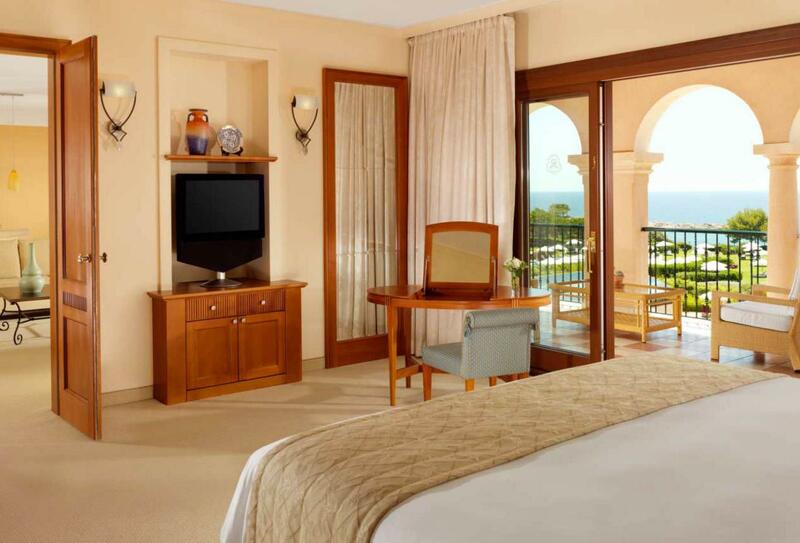 Food & beverage at Sheraton Mallorca Arabella Golf Hotel and Castillo Hotel Son Vida can be charged to the room at the St Regis Mardavall Mallorca Resort. Offering delicious tapas dishes in a laid back atmosphere, Es Vent is perfect for unwinding with a drink and a variety of signature Spanish nibbles. Open 10:00 – 01:00. This poolside bar serves small, light delicacies and refreshing cool drinks to keep you suitably fulfilled as you soak up the Mediterranean sun by the pool with views of the sea. Open 07:00 – 22:30. Proudly brandishing a prestigious Michelin Star, Es Fum offers some delightfully innovative culinary creations to satisfy even the most particular of palettes. Open 19:30 – 22:30. Closed Tuesday and Wednesday. Casual yet elegant, Aqua’s menu is a mix of tradition Mediterranean and Majorcan cuisine with a focus on Spanish and Italian flavours. Open 07:00 – 22:30 and for breakfast 07:00 – 11:00. Inspired by Britain’s most famous Prime Minister, Churchill’s lounge offers an exclusive selection of the world’s best cigars, over a hundred different whiskeys and a wide range of snacks and cocktails. Open 10:00 – 01:00. 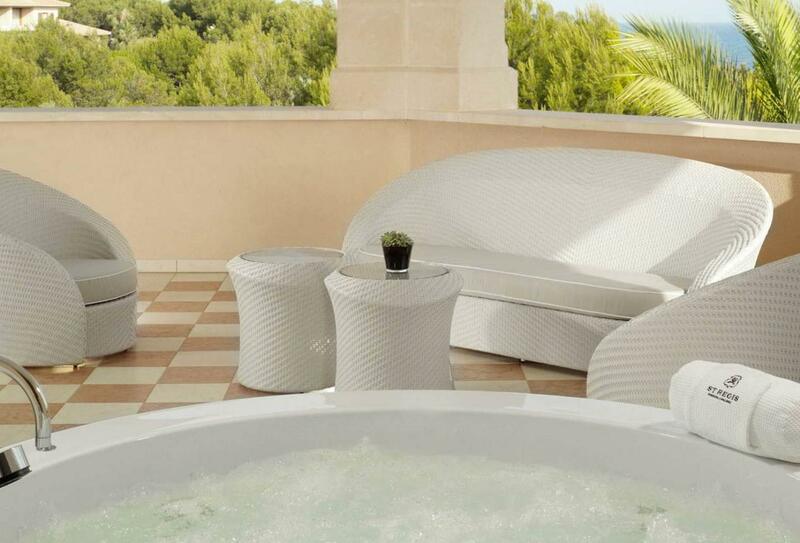 The St Regis Mardavall is located on the southwest coast of the Balearic Island overlooking the Mediterranean Sea. 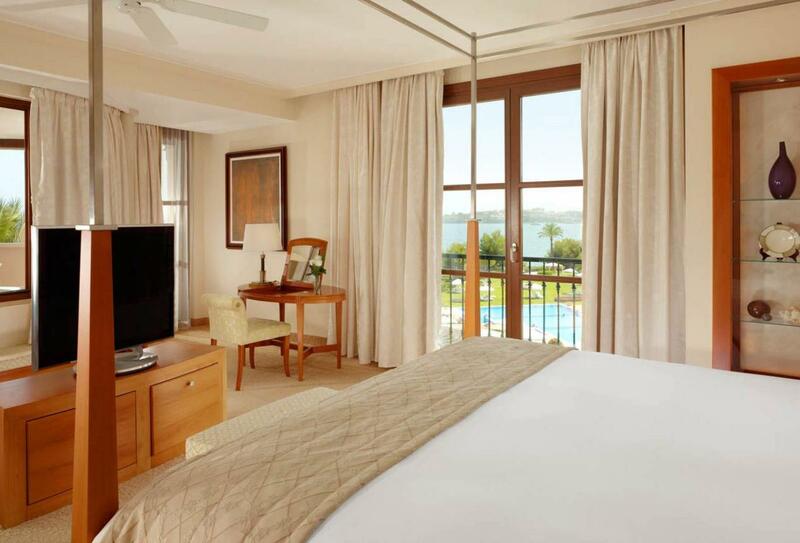 The resort is around 20 minutes away from both Palma de Mallorca Airport and Palma city centre. A private limousine transfer can be organised by the resort for an additional fee. The St Regis Mardavall welcomes families with children of all ages and offers the following facilities and services to ensure they have an enjoyable stay. • Dining out at Brisas on buffet style 12:00 – 14:00 and 18:00 – 20:00. • The Golf Academy operates for children between the ages of 7 and 13. A fun place for children to spice up their hairstyle. Get extensions, new colours or add pearls and stones to the design of your style. There is a 40 percent discount if children are below the age of 14 and 20 percent if they are not older than 18.